Visual impairment does not equal intellectual impairment. 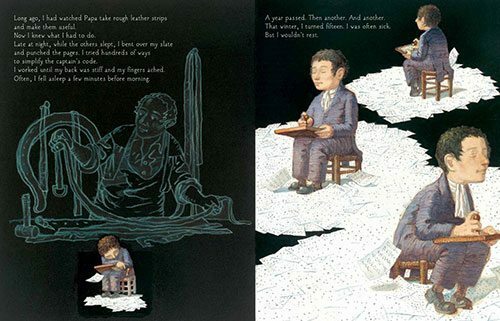 The Braille family knew this, the students at the Royal School for the Blind knew this, and Louis Braille—most of all—knew this. But even in our supposedly more enlightened 21st century, we need to be reminded that those who are differently-abled share the same human spirit, intellectual capacity, and potential as the rest of us. Meet 8-year old Amare. Last summer, he won his school’s reading contest (he logged 153 hours) and for that, he got to be the principal for an hour. Later this week, he’ll travel to Los Angeles as one of only 50 finalists from the U.S. and Canada. 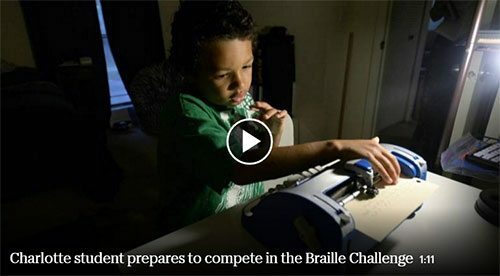 Amare, who is blind and can read 150 words a minute, is looking forward to competing in the Braille Institute’s Annual Challenge.